« Is Charcoal Toothpaste Safe or Effective? Dental health is a daily chore. But even after years of brushing and flossing, thousands still experience dental health issues due to extremely common mistakes! There’s a good chance you don’t have a dentist looking over your shoulder every day, so you could be making these mistakes too! 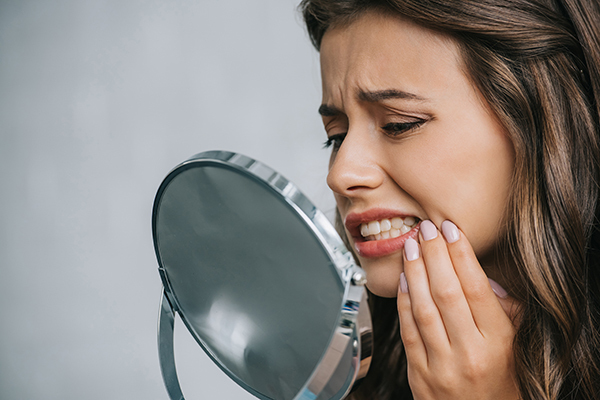 Read on to learn about some of the most common oral care mistakes and how they can impact your short-term and long-term dental health. Brushing your teeth sounds like one of the simplest things you can do. But did you know that it’s possible to brush your teeth incorrectly? It’s true! If you use too much force when brushing your teeth, you won’t just remove plaque and bacteria – you’ll also remove your tooth’s enamel. This protective shield on your teeth can’t be regenerated, so once it’s gone, it’s gone. Extremely abrasive brushing wears away at this enamel over time. You won’t destroy it just because of a few days spent brushing too hard. But over the years, aggressive brushing can make your enamel erode earlier than it otherwise would, leaving your teeth vulnerable to cavities and decay. Are you whitening your teeth with a bleaching kit? Be careful about using too much of a good thing! Whitening strips and bleaching trays use harsh chemicals to restore your teeth to their natural whiteness. The more you use them, the more damage the chemical can do. Don’t go overboard with your home whitening solutions! If you want whiter teeth, speak with your dentist to find out about better options, such as in-office whitening. By now, it’s no secret that sodas and citric juices are harmful to your teeth. These acidic beverages wear away at your enamel and leave your teeth vulnerable. That’s why it may come as a surprise that one of the worst things to do after enjoying these drinks is to brush your teeth! It may sound counterintuitive, but the problem is simple: the acid weakens your teeth. If you brush right after a pop, your brushing will push the acid deeper into the enamel or dentin and lead to additional wear. A scientific study found that brushing up to 20 minutes after an “acidic attack” on your teeth lead to more enamel loss than waiting 60 minutes. So, if you have a pop or morning orange juice, wait an hour before brushing! If soda or citric acid are dangerous to teeth, then apple cider vinegar should be considered catastrophic. Unfortunately, countless articles recommend apple cider vinegar as a natural option for whitening teeth. Like many natural alternatives, such as charcoal toothpaste, there isn’t much science to back these claims. On the scale of acidic substances, apple cider vinegar is often nearly as acidic as battery or stomach acid. There’s a reason that even health gurus recommend you dilute it with a significant amount of water! But no matter what you do, this popular health craze will lead to more damage done in less time than other acidic substances like soda. If you want to whiten your teeth, stick with ADA-approved methods, or speak with your dentist for their recommendations. Unfortunately, this dental care mistake is all too common. No matter how good your home care routine is, nothing can circumvent the need for a professional to help examine your teeth and gums to identify potential issues. The longer you delay your next dentist visit, the more likely you are to allow underlying decay to worsen and lead to bigger problems – like losing a tooth! Early gum disease and minor cavities are easier to deal with than advanced periodontal disease and damaged roots. If you want to avoid the most damaging dental health issues, don’t skip your regular dentist visits! The Best Way to Avoid Common Dental Care Disasters? Ask Your Dentist! Your dentist can help you with more than cavities, gum disease and tooth whitening! If you’re not sure that you brush your teeth properly or make the best of your time spent flossing, ask them for help! At your next visit, they can evaluate your brushing technique to ensure you’re taking the best care of your teeth that you can. This entry was posted in Cosmetic Dental Services, Preventative Dental Care, Tooth Loss and tagged cosmetic dental services, cosmetic dentistry, preventative dental care. Bookmark the permalink. Follow any comments here with the RSS feed for this post. Both comments and trackbacks are currently closed.